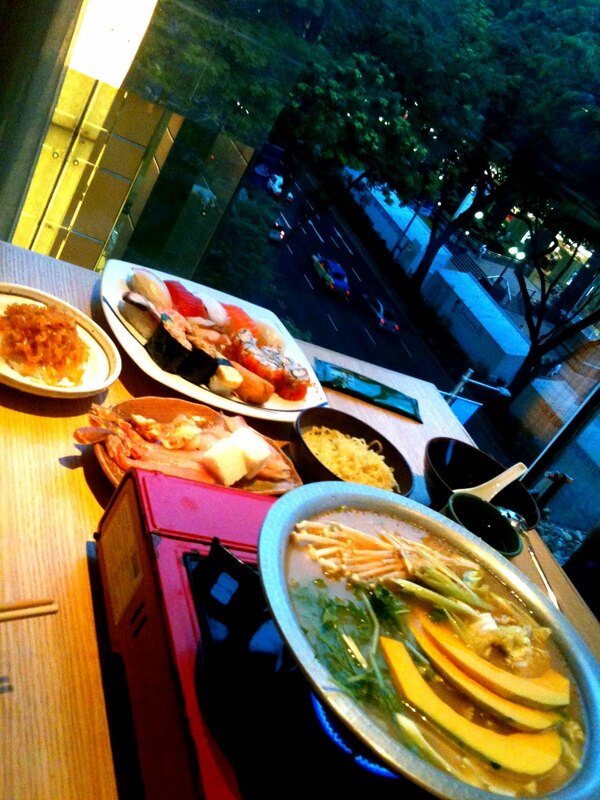 I've discovered not too long ago that the Sushi Tei at Paragon has a pretty good view of Orchard Road if I can manage to get a table by the full glass window, so far I've managed to do that twice. The key is to go there before the crowd hits the restaurant before the dinner peak hours, especially since they do not take reservation! The food at Sushi Tei has always been decently good and I had a visitor once commented that he found the price to be cheap for the quality and selection of dishes there! 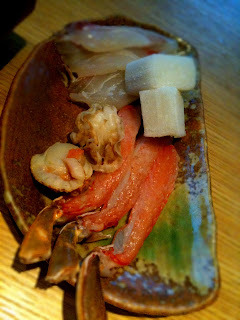 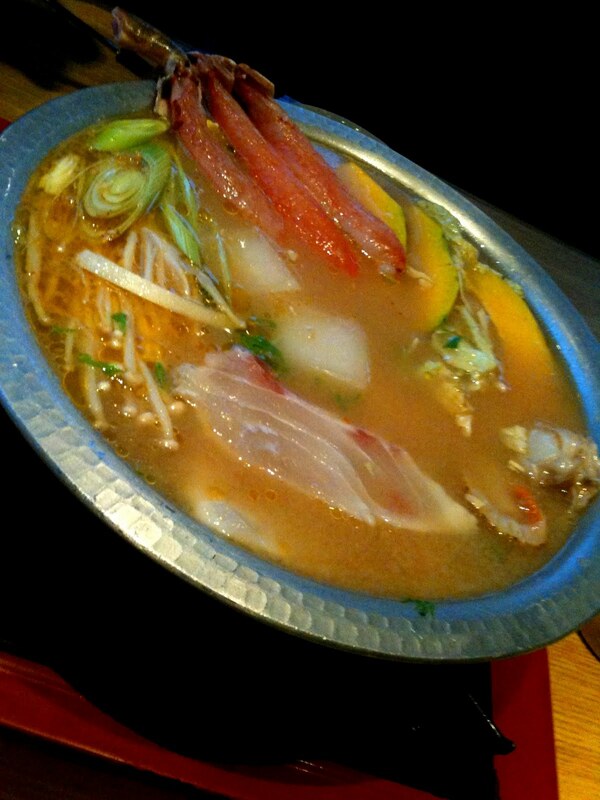 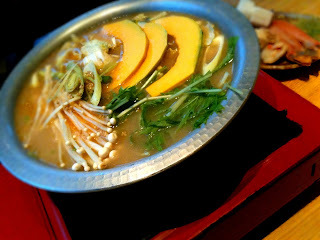 Sushi Tei is having a seasonal Sakura menu currently and I found this crab leg hotpot which comes with collagen cubes. I've seen collagen hotpots on TV but never tried it before, so without hesitation, I ordered the Zuwaikani Hotpot which comes with crab legs, scallops, fish, noodles and pumpkins to my delight! The other dishes such as the assorted Sushi Platter and marinated jellyfish are from their original menu. One of the item that I always like to indulge in is the grilled squid! 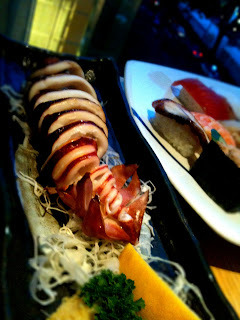 You can either order it grilled with Teriyaki sauce or simply with salt, I chose the latter to taste the squid better. 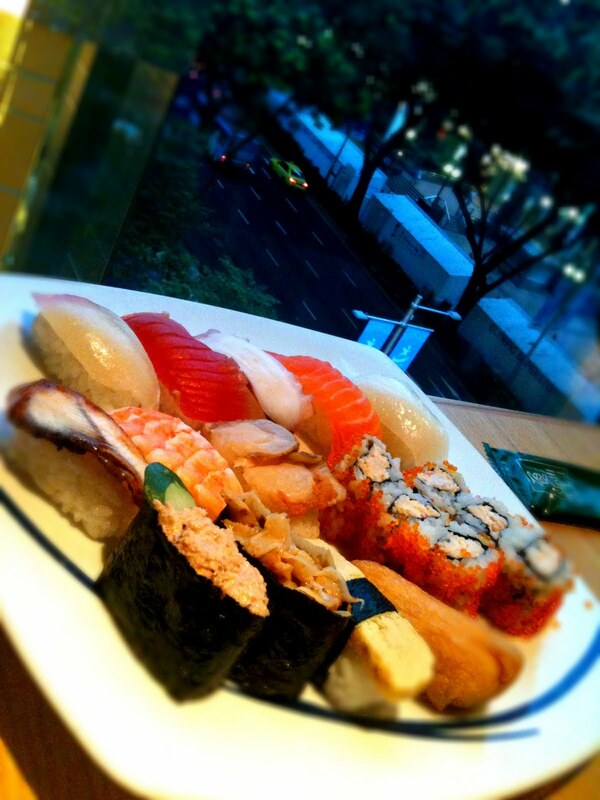 For a moderately priced dinner with a view, I would definitely recommend Sushi Tei at Paragon!